Built in 1985 by Chris Summersall to Martin Evans 5" Gauge "Simplex" design, doubled up for 10 1/4" Gauge. 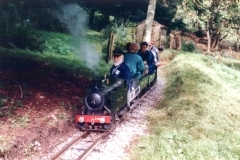 This locomotive started life as "Titan" and ran every Sunday from May - September at the now long closed Queen Mary's Railway located within the Children's Hospital of the same name, located in Carshalton, Surrey. It was very different in appearance then to how it looks now; the paintwork was a much lighter green (including the wheels..!) and the cab much squarer, staying true to the simplex design. 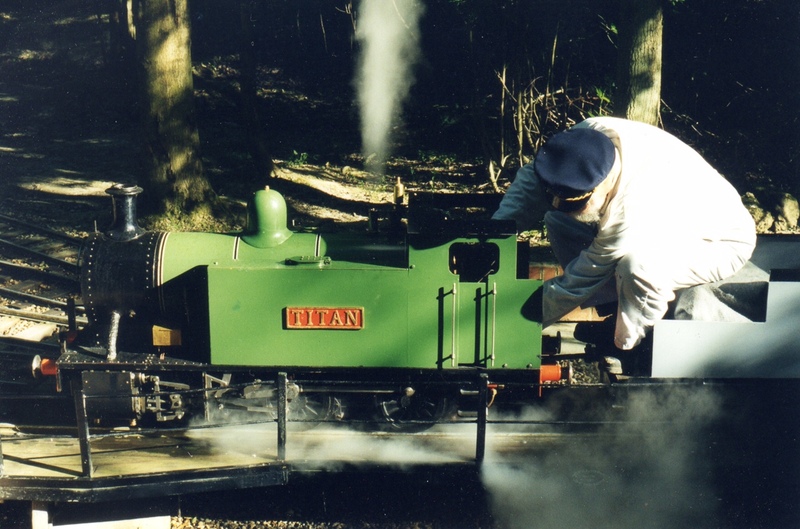 When the Railway closed in May 1997 "Titan" was laid up on blocks in the MERU building (Medical Engineering Research Unit) for some considerable time until it was decided to put it up for auction in December 1999. 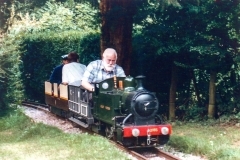 Failing to meet its reserve price, at the close of the auction a deal was done with Bob Symes taking ownership. 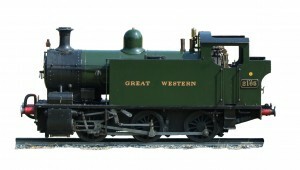 An extensive rebuild and overhaul followed which resulted in its current appearance and GWR style based on The Burry Port & Gwandraeth Valley Railway Tank locos, built by Hudswell Clarke. 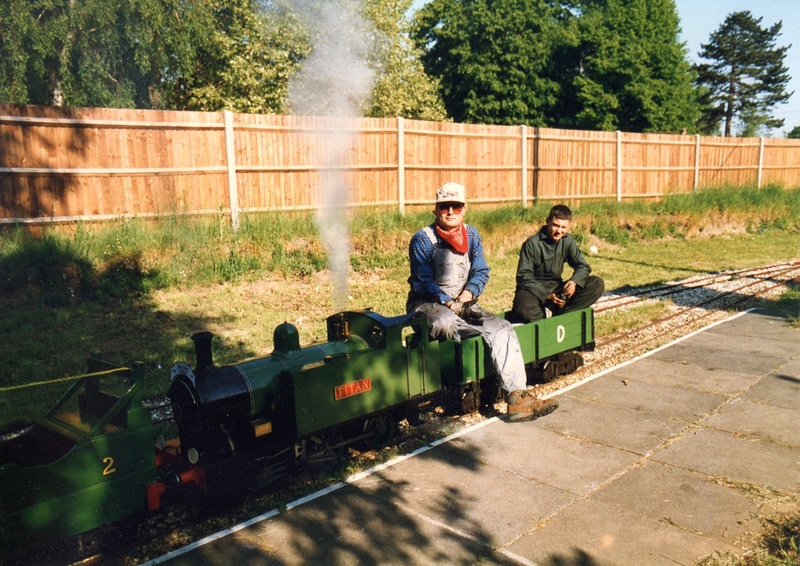 It then enjoyed an illustrious career at Bob's Greendene Works Railway near East Horsley until November 2013 when a house move to North Wales prompted the reluctant sale of this much loved loco. 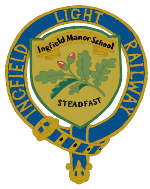 This powerful little tank engine is now a regular performer at Ingfield and proves a popular favourite among drivers and passengers alike.